For those who desire to become a nursing assistant a common question is “how much does a CNA make in California?” The salary of certified nursing assistants in California is enough to make a living that may no longer require an additional second job. Just like other states, the wages of CNA’s varies depending on their work experience. Entry-level CNA’s typically have less earnings compared to more experienced CNA’s. The annual wage of certified nursing assistants in California is about $21,000 to $31,000. The difference for the wage is due to the variety of employers existing in California who offer different rates. CNA’s who work in bigger towns or cities can earn more than those who work in smaller towns. The basis of the salary difference is the costs of living of the area. Getting more work experience benefits CNA’s because they will be offered higher salary rates in California. Most of the time CNA’s at entry-level jobs can find it hard to work in hospital or government settings because they are required to have additional training. Experienced CNA’s can enjoy different benefits with a secure job as well as greater opportunities to be able to work in bigger companies and with additional opportunities for advancement. The demand for certified nursing assistants has been increasing in the country along with jobs in the field of health care. According to the Bureau of Labor Statistics, California is regarded as very populated. As of the year 2009 the data presents approximately 14.5 million employed individuals. The salary in California falls into two levels namely the highest paying level and the lowest paying level. With the annual salary wage of $21,000 to $31,000 for CNA’s, one can even earn more than that when presented with overtime. California, being one of the highest paying cities, offers an average hourly rate of approximately $10.84 to $17.17. Certified nursing assistants can take advantage of their status as they are able to demand higher work rates due to the need for qualified care. Not all CNA’s receive the same salary. Employers play a big impact because they are the ones who decide the wages and work environment. Their decisions are influenced on the location of the work, whether it is situated in a city or a small town. Being employed by bigger employers allows you to earn a higher salary. In addition the type of facility will also determine your rate of pay with many retirement homes paying less than the same occupation in a hospital setting. There are a lot of places located in California where entry-level CNA’s are hired by health agencies or nursing homes which in return offer lesser pay rate. 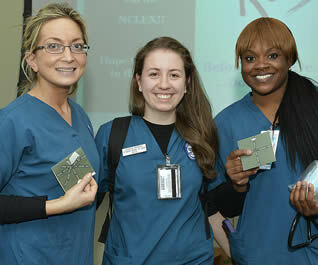 Certified nursing assistants indeed play an important role in the field of health care. No matter where the workplace may be, or how much you are earning for that job, it is vital that you should render high quality care to your clients, may it be in the hospital, nursing homes, or other health care setting. To get more info about receiving your certification visit this page to find CNA classes in CA listed by city.